Dark adaptation testing is used to monitor age-related macular degeneration and any other condition that may cause night blindness. Imagine you awake in the middle of the night to go to the bathroom. You turn on the light in the bathroom, and then when you are done and need to return to bed, you turn out the light. In people that have macular degeneration, that sudden change from a bright environment to a dark environment takes longer for the eyes to adapt to the darkness. Testing can find out how long it takes for the eyes to adapt. During the testing, a bright light is flashed, and then a button is pushed when you see a second light appear. Visual Evoked Potential (VEP) testing is used to monitor the pathway information travels when going from your eyes to your brain. 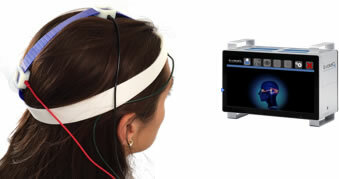 In this procedure, three electrodes on a special headband will be applied to your head and hair. Because of this, don’t wear any make-up and please have clean hair that you didn’t spend a lot of time perfecting because a special gel needs to be applied to your forehead and scalp in order for the electrodes to stick. During the testing, you look at a screen, and the machine does the work. VEP testing can help monitor conditions such as glaucoma, amblyopia (“lazy eye”), multiple sclerosis, visual field defects as well as other conditions. 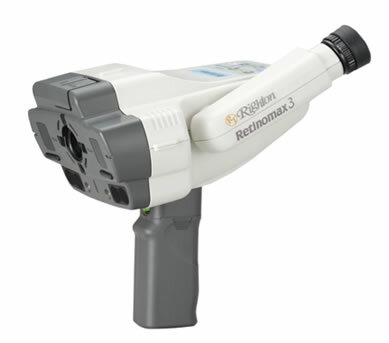 Electroretinography (ERG) is used to monitor the health of the cells in the retina at the back of the eye much like how an EKG monitors the health of the heart. During the ERG procedure, five electrodes will be placed on your skin at various places near your eyes. Because of this, please don’t wear make-up into the office; otherwise, the make-up will need to be removed in order for the electrodes to stick to your skin. During the test, you look at a screen, and the machine does the work. ERG testing can be used to monitor conditions such as glaucoma, macular degeneration, or anything that may cause damage to the retinal cells. 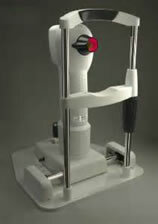 Rebound Tonometry (RBT) is a technique used to measure the pressure inside the eye without the use of drops or air puffs. During testing, you are asked to look straight ahead while a small device is brought in close to the eye. ColorDx is an advanced way of checking color vision. It will tell the doctor the specific type of deficiency a “color blind” person may be facing. Color vision testing is also used to monitor the progression of certain diseases or to watch for unwanted side effects of certain medications. ColorDx involves the use of a tablet to perform color vision testing. InflammaDry is a diagnostic test that can be performed in your eye doctor’s office to test your tears for the presence of inflammation. Inflammation may increase as dry eye progresses into a chronic condition, and if left untreated, can potentially damage the cells on the surface of your eye. By using the InflammaDry test to determine if there is an above normal level of inflammation on the surface of your eye, your eye doctor can determine the best and most appropriate dry eye treatment plan for you. A small, soft piece of fabric will be gently dabbed along your lower eyelid to collect tears, very similar to the way a paper towel absorbs liquid from a surface. 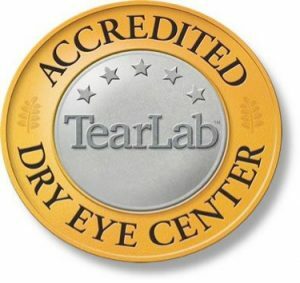 The tear collection process takes less than a minute and is not painful. 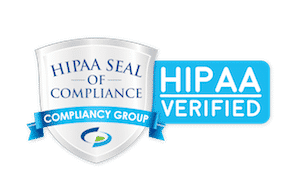 Once the tear sample is collected, the InflammaDry test is activated and results are provided before you leave your doctor’s office. A positive InflammaDry test result indicates that there is a significant amount of inflammation on the surface of the eye. 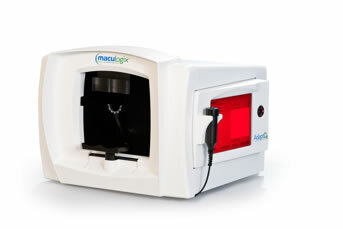 Tear Lab is a device that measures the osmolarity of tears. If tears evaporate too quickly, they can leave behind a salt residue which makes the eyes more uncomfortable. During testing, a small device is used to collect a sample of your tears to measure the osmolarity. 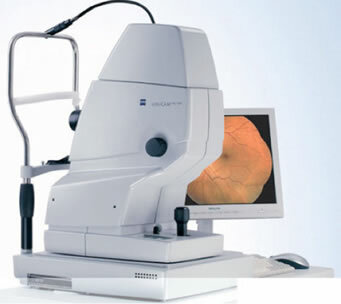 Corneal topography is an easy way for the doctor to get a detailed, visual description of the surface of the cornea. A machine will scan the front of your eye, and nothing will touch your eye. The results will help the doctor to determine if you have irregular astigmatism or other conditions such as keratoconus. Topography can also be helpful in certain contact lens fittings. 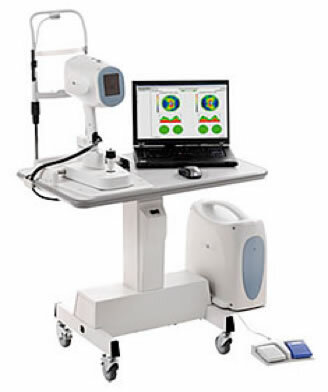 Optical Coherence Tomography (OCT) is a machine that scans the eye painlessly. During testing, you will be asked to look at a target, and the machine will do a scan. Nothing will touch your eye. OCT testing can be used to help monitor glaucoma, macular degeneration, narrow anterior chamber angles, or any other condition that may affect the optic nerve or macula. Our offices are equipped with special cameras that allow photographs to be taken on either the inside or the outside of the eyes. Photographs are useful to help the doctor monitor conditions for changes over time. Our offices are equipped with special machines that allow us to map out if there are areas of vision missing or decreased. During testing, you will wear a patch over one eye, so each eye can be tested individually. Once lined up in the machine, you will be asked to look straight ahead. You then push a button anytime you see a light flash off to the side. A printout is given to the doctor for interpretation. 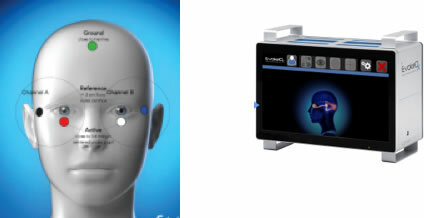 Automated visual fields are used to monitor the progression of glaucoma, vision loss, tumors, strokes, and many other disorders. 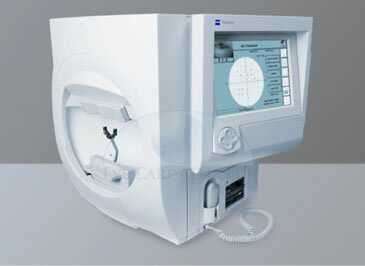 Auto refractors are machines that give an estimate of your glasses prescription and measure the front curve of the eye. During testing, you will be asked to look at a target while the machine gets its reading. 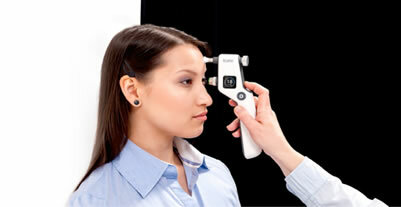 Corneal pachymetry is a test used to measure the thickness of the cornea at the front of the eye. This information is useful in the treatment of glaucoma, and it is also used when evaluating patients for LASIK or other corneal surgeries. Prior to the test, a numbing drop is placed in the eyes. The doctor will hold open your eyelids and a small probe will come in close to the eye. The machine will beep several times and then give the doctor a reading.